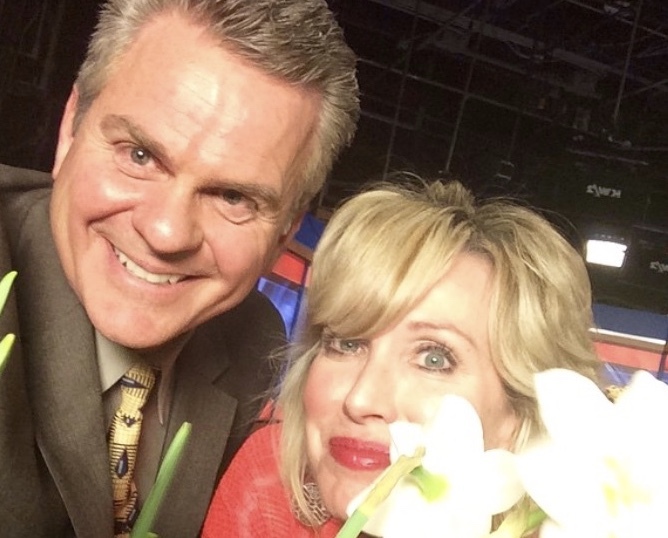 Frivolity sometimes ensues before air time. he suggested that it would be a great topic for an upcoming program. And while my first response is always to plant in spring or fall...fall being even better in the South than spring (so as to get those root systems established before the onslaught of summer heat)...I conceded that sometimes this was not possible. Consequently, here is a preview on some tips and tricks for summer planting in Oklahoma's intense heat and sometime drought. 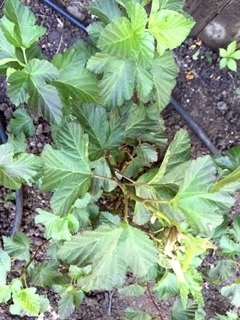 #2 Saturate both the hole itself and the root ball of the plant beforehand. Fill the hole with water, let it absorb and drain. 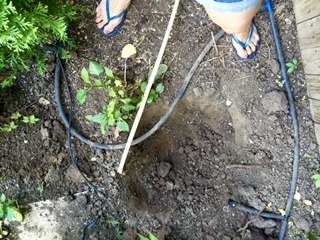 Loosen the edges of the planting hole one more time to permit even greater eventual root penetration. Fill hole again with water, let it absorb and drain. Rough up the bottom of the hole, sprinkle in a dose of a long acting fertilizer like Osmocote (find it here). 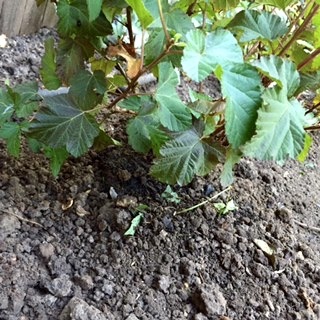 If planting in an area with no danger of overwatering, add some Soil Moist Granules (here) to minimize water use in the future. Position root ball (gently loosen its roots first) with the top of the plant level with the top of the hole. 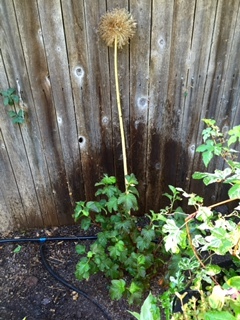 Use the handle of your shovel, or in my case, the stalk of a dry allium :) as your guide. 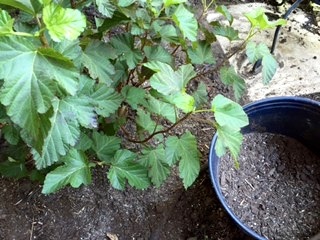 #3 Back fill hole with half compost and half soil. 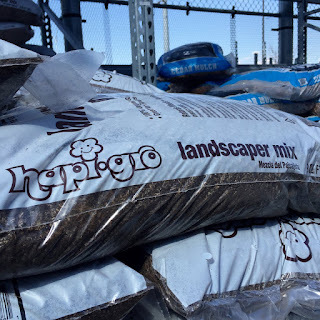 I like the fine pine blend of HAPI-GROW Landscaper Mix/Soil Conditioner you can buy at Lowe's. Stock up when it is available as it is very popular and they often sell out. Gently firm soil. 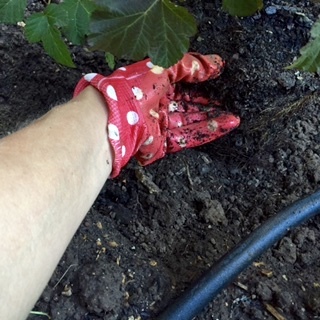 It helps if you are wearing waterproof polka-dot gloves from the Dollar Store. 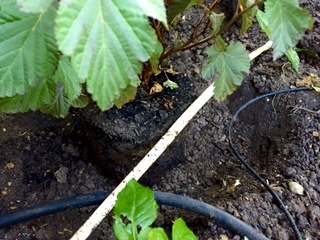 If you are using drip irrigation or a bubbler to water this area, position head or hose accordingly to make sure the plant gets adequate moisture in the future. Still, as the plant is getting established in the heat of the summer, with dry, desiccating winds, you will probably need to give it a hand-water drink every day or so depending on conditions. Keep this in mind if you are going on vacation and will not be able to tend it. 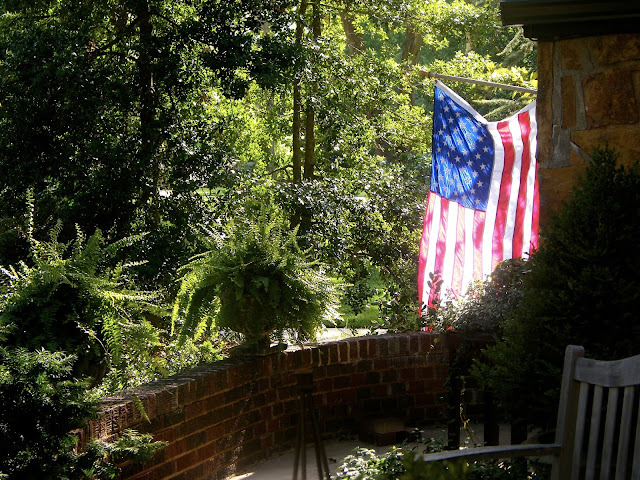 If you are providing adequate water, but the leaves are showing signs of distress and/or heat stroke, consider creating some artificial shade until temps moderate. you might want to TEMPORARILY leave the plant tag in place until what you have planted where takes root in your head as well as your garden. Just saying'. *If it's worth doing, it's worth doing well. *Go big or go home. *An ounce of prevention is worth a pound of cure. *Put a $1 plant in a $10 hole. 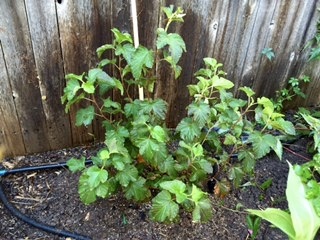 To find out what I just planted, the color palette it will generate, the season it will show its stuff, and the aesthetic I am trying to create.....stay tuned for an upcoming post.